Very courteous and timely. Very fair in cost -didn't find as much wrong as I thoight, so charged me less. The repair service was performed quickly and professionally. The workload on these techs is a lot tho. He came out to diagnose on a Wednesday but couldn't come back until the next Tuesday, tho the replacement part was at my house Friday morning. The tech, Lukas, was excellent and knowledgeable. This was warranty work, so no cost to me. Technician was knowledgeable, and very fast. Dishwasher was fixed, no more problems. REFRIGERATOR KITCHENAID KRFF507ESS01 "Unit not cooling in either section, not making ice. Interior lights come on and display working. Entered diagnostics and ran tests, all ops good. Cycled power to unit and cooling came on. Ordering main control board and UI assembly, cust will call office for reschedule; ordrng 1 W10843055 (CONTROL BOARD) and 1 W11089931 (UI ASSEMBLY)"
WASHER WHIRLPOOL WTW5000DW1 "8-1, replace valve, calibrate, run test cycle, ok; used 1 W11210459 (VALVE) from stock"
REFRIGERATOR KITCHENAID KRFF507ESS01 "Pulled unit out on pad and installed new main control board and UI assembly. All ops good, cooling came on, fans running." WASHER WHIRLPOOL MVWC565FW1 "Called techline, not latching, tested latch and is ok, need to replace ccu again, if doesnt solve problem call techline back with this number 7724502189, i didnt replace parts cause cant test anything without lid lock latched, call when coming back; ordrng 1 W11162438 (CCU) and 1 W11307244 (LATCH)"
WASHER WHIRLPOOL MVWC565FW1 "Ran diagnostics found code for board and lid sw, ran calibration it didn’t go thr ran auto test that didn’t go thr either, door wouldn’t lock, order both parts..wants Saturday if possible..; ordrng 1 W11162438 (BOARD) and 1 W11307244 (DOOR SW)"
WASHER WHIRLPOOL MVWB765FW2 "No error codes, calibrate, run test cycle, ok, instruct cycles and soap usage"
RANGE WHIRLPOOL WEG750H0HV0 Install conv fan check over unit tested out good..
WASHER WHIRLPOOL MVWB765FW2 "Cust getting white flake residue on dark clothes. Checked inlet valve and saw sand and dirt building up inside valve. Installed new valve and tested, water coming in good. Told cust to try putting soap in tub first and 5o use an extra rinse on dark loads"
DISHWASHER KITCHEN AID KUDL15FXWH5 "Cust said unit not running theough cycle. Ran diagnostics and got several error codes but no tech sheet on unit and no tech sheet in Service Matters. Called WP techline and we worked out that they were only dispenser and long drain errors. Unit finished calibration cycles with no issues, all functions worked. Told cust she may have issues in future because they have a longer than normal run for the drain but it is working fine now"
REFRIGERATOR KENMORE 106.570226 "Cust said getting water leaking when supply turned on. Turned on supply and got water leaking out from filter housing and plastic water lines. Suspec5 unit had been left outside in freezing temps without bleeding the lines. Unit would likely need everything that carries water replaced, water lines, valves, filter housing and filter, and reservoir. Cust declined repair. Put trip charge for disheasher call on this order"
MICRO/OVEN WHIRLPOOL WOC54EC0AS01 Customer stated burning on the bottom. I took 6 temps and found the oven cycling high by 10 degrees. Operation tested good after calibration. DISHWASHER MAYTAG MDB8959SBW2 Installed new tracks and removed ball bearings from the sump. Operation tested good. Parts and labor covered under s code. REFRIGERATOR WHIRLPOOL WRF736SDAM14 Customer stated frost on the back wall. They have to manually defrost it to get the temps to go back to normal. I pulled the back panel to take a look at the evaporator. The evaporator was free of frost like it had just done a defrost and 8n diagnostics the bimetal tested open. Likely a control issue. If customer calls back it will need a control and user interface. 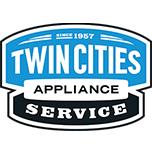 REFRIGERATOR JENN-AIR JFFCC72EFS02 Installed new fill tube and ran an ice maker self diagnostics test. Operation tested good. REFRIGERATOR WHIRLPOOL WRF990SLAM00 "Installed new door cam, tested door, opening and closing properly and quietly." DRYER WHIRLPOOL MGDB765FW0 Customer stated the end of the door seal do not meet. I installed the new door gasket and it is the same. There is no heat being lost. That is how this gasket is designed. REFRIGERATOR WHIRLPOOL WRF990SLAM00 "Right hand door making clunking noise when opened, removed door and checked cam on lower hing. Cam cracked and worn. Upper cam, that is part of door, looks good. Ordering cam; ordrng 1 WPW10505294 (DOOR CAM)"
REFRIGERATOR AMANA ABB2524DEW "Ice ball on the cap tube indicating a sealed system leak. No signs of oil around the evap or compressor. Would need to install dye dryer. Quoted 250.00 labor, and price of dryer. I informed him it could be internal leak which is non repairable. Customer is going to think it over." REFRIGERATOR WHIRLPOOL WRF736SDAW14 "Pulled unit out on pad and removed freezer door and baskets. Removed evap cover and thawed remaining ice on evap. Used wet vac to prevent water from overflowing pan. Installed new evap fan motor. Tested motor to make sure it is running full speed, all good. Turned cooling back on, all ops good"
REFRIGERATOR WHIRLPOOL WRF736SDAW14 "Freezer evap solidly and completely iced over,, evap fan iced in and not running. Entered diagnostics and checked defeost, bimetal failed, stuck open. Thawed evap partway, ordering evap fan/harness with dfrost bimetal. Will need extra time, will need to pull fridge out and put towels down because water will overflow pan. Cust paid in full; ordrng 1 W10865431 (EVAP MOTOR/HARNESS)"
Whirlpool dishwasher F65134899 doesnt drain checked the pump and it sounds like grinding gears The dishwasher has never drained. Found the check valve stuck on the drain loop. Operation tested good after freeing the valve.